I love my DS and its game library too much!! In fact, just yesterday I purchased yet another game, so now I have three games sitting on my self that I have yet to play *sigh* Which titles? Heroes of Mana, Trauma Centre 1, and Touch Detective 2.5. The most recent being Touch Detective. And what is keeping me from playing them? FFTA2, which I still have yet to finish. It’s not so much that I am so obsessed that I play all the time, it’s more that I am an impulsive buyer and I can’t resist a good deal, or a rare find. Both Heroes of Mana and Touch Detective had a good price; I bought HoM for half it’s usual price and new, while I found a used copy of TD for 20 canadian. 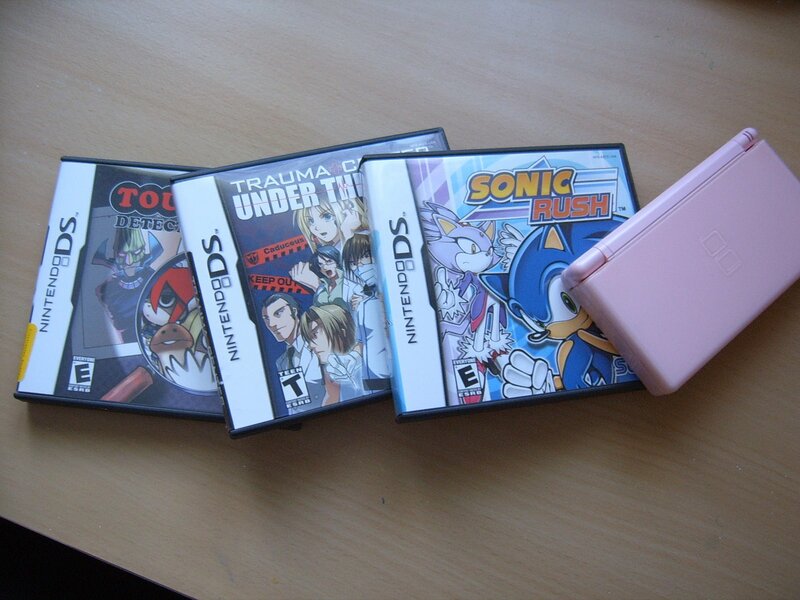 Trauma Centre on the other hand is pretty hard to track down, so when I saw it used, I immediately had to buy it. Well at least I have a very nice and extensive DS library…..
You play as a student from a magical academy, whose teacher has recently gone missing. One of your classmates gets it into her head that you need to go searching for your teacher, so you follow after her on your own one-person space ships and crash land on another planet. As you go from planet to planet, you happen upon your other classmates who also followed after you and the other student. Alrighty, I’ve stated in my previous post that I wanted to do this, so here it is, my comparison of Tohru against other female leads in manga. I will start out with Tohru, the perpetrator, who has strayed away, well at least in my eyes, from the female ideal of a kind female and has become the male ideal of a female. Yes, yes, this is going to be a rant and its subject will be Tohru. =P Afterwards, I will showcase other females; why they should be considered kind, and why they are not weak and submissive like Tohru. I’ve been getting a lot of reading done lately, and I’ve made quite a dent into my pile of yet to read manga. yuppie! This manga in particular has been lying around for quite some time. I just couldn’t read any more Fruits Basket due to Tohru Honda, but I finally gave the manga another shot, so onto the summary! Fruits Basket is one of the few manga that has an episodic feel but also an exceptional sense of interrelatedness. This volume begins with Haru looking at a city map and then driving away on his bike (the author made it all dramatic too, so it was really funny but in a bad way since he looked so pathetic…) The scene then moves to yet another verbal fight between Yuki and Kyo, which ends with a bunch of leeks in Kyo’s mouth. Later at home, Kyo learns of the endurance run taking place at school the next day and threatens Yuki, that he better not try to skip it just because he’s getting a little cold. I got through Death Note 2 relatively quickly one night when I was stuck in bed because of a migraine. 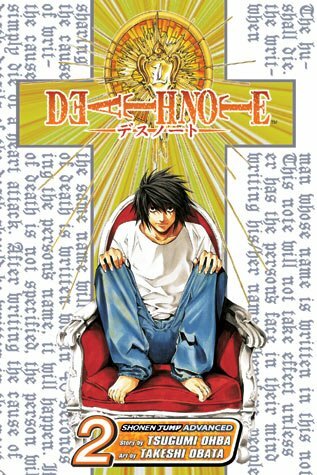 After finishing the second volume, I have started to realize why so many people love Death Note. It is in volume two that the battle of wits really starts and the story begins to become really enjoyable. So without further ado, I will begin the summary! Volume two deals with Light as he finally enacts his plan to kill all 12 FBI agents sent to Japan. The first little bit deals with the experiments he does on criminals, using them to send a message to L. By the time L gets the final part of the message, all 12 FBI agents are dead and somewhere Raye’s fiancee says to herself that Raye is dead and Kira killed him.